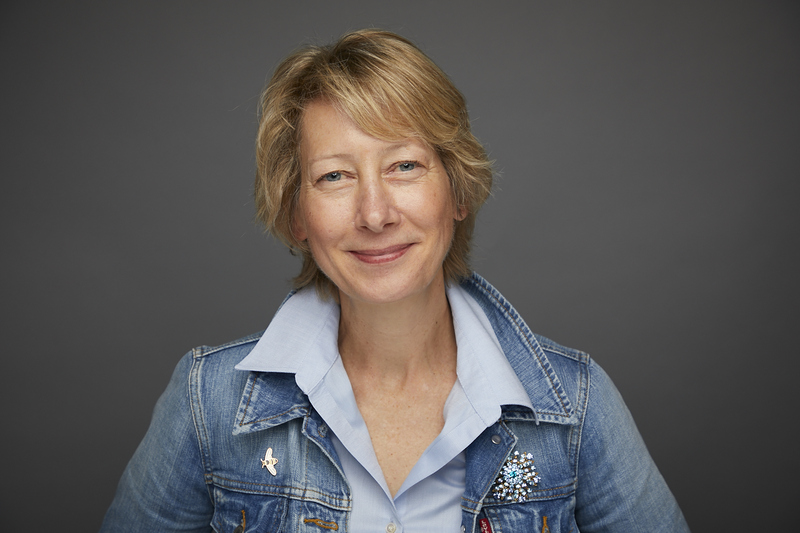 Egg nutrition gives eggs the green light! 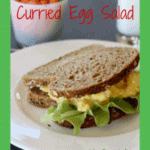 Plain Greek yogurt dresses this curry egg salad. Yogurt’s tangy flavor, protein and calcium make this a winner! Eggs do too. It’s been stop and go with them over the years. Egg nutrition gives eggs the green light. Because eggs are higher in dietary cholesterol than some foods, they became the poster child for foods to avoid. But more than 40 years of research have demonstrated that healthy adults can enjoy eggs without significantly impacting their risk of heart disease. That’s because saturated fat is more likely to raise a person’s blood cholesterol levels than eating foods that contain cholesterol. Enjoying an egg a day can fall within current cholesterol guidelines. With one egg delivering 6 grams of high-quality protein, they may help you feel full longer too. Speaking of cholesterol…Some food labels shout about being “cholesterol free!” Just so you know, dietary cholesterol is found only in animal foods such as egg yolk, dairy products, shellfish, meats, and poultry. So, peanut butter, bread, apples and carrots may be labeled cholesterol free, and it’s true, but they never had cholesterol to begin with! This month’s TheRecipeRedux, theme is lunch. As part of a network of food bloggers who believe in food that is good to eat and good for you, I’m making Curry Egg Salad. At less than 20 cents per serving, eggs deliver 6 grams of high-quality protein. Chopped in a salad, that becomes a protein-packed lunch helping sustain energy throughout the day. What’s not to love about that? 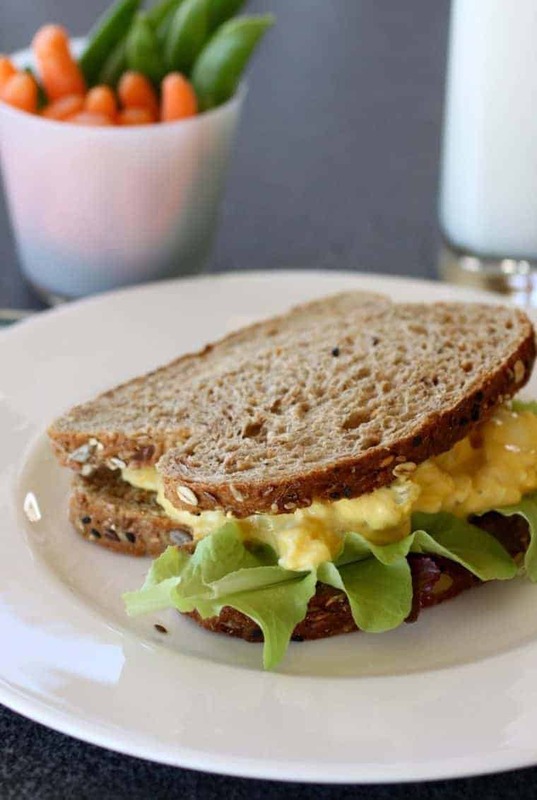 I like a traditional egg salad, but this curried version gives it an edge. An edge of exotic flavor and health benefits. It’s turmeric that gives dry curry its yellow color. Long used in the cuisine of India, turmeric has anti-inflammatory benefits. But curry is more than one spice. If you were in India, you’d likely grind and mix your own curry powder. A blend of several spices, herbs and seeds, including coriander, cumin, ginger, mustard, cinnamon, cloves, cardoon and chile, conveniently, you can buy curry powder in the spice section. It does lose pungency over time, so best to buy in smaller quantities. 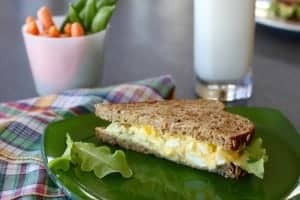 I use plain Greek-style yogurt to dress the egg salad. I like yogurt’s tangy flavor plus I like the additional protein and calcium it provides all while lowering the calories. 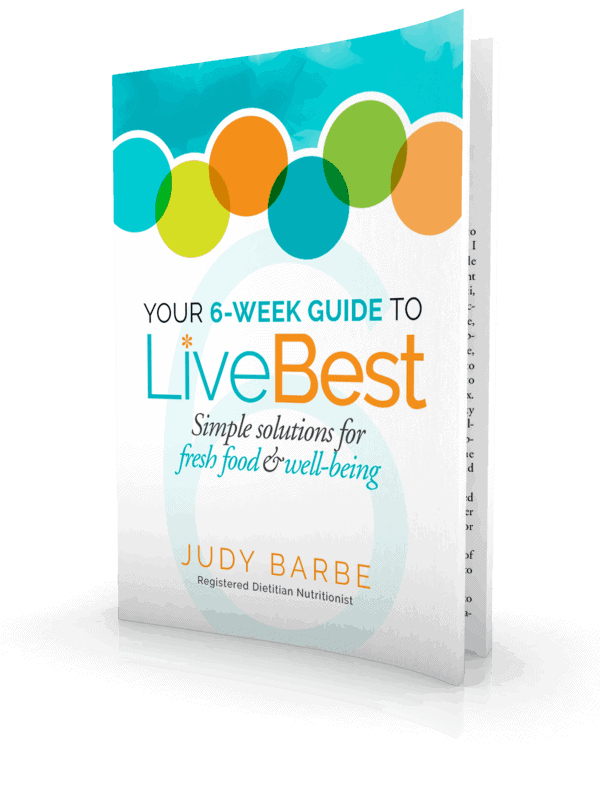 That’s what I look for in a recipe that helps me LiveBest! I’m the recent owner of an Instant Pot. Eggs where the first thing I cooked. I was impressed (and surprised) with the how fast the eggs cooked and, even better, how easily the shells slipped off the egg! That alone is worth the price of an Instant Pot!! Plug in Instant Pot. Pour 1 cup water in cooking container. 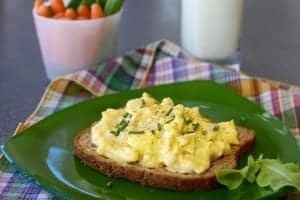 Place eggs on the Instant Pot cooking rack. Seal the lid. Turn value to Sealing. Press Manual, High, 5 minutes. When timer ends, allow steam to naturally release for 5 minutes, then Vent. Open lid and remove eggs. Cool them in a bowl of ice water to prevent further cooking. Store in the fridge. 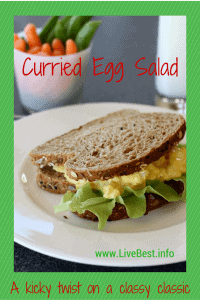 Curry Egg Salad? Yes, please! Plain Greek-style yogurt dresses this curry egg salad. Yogurt’s tangy flavor, protein and calcium make this a winner all while lowering the calories! Place eggs in a medium sauce pan. 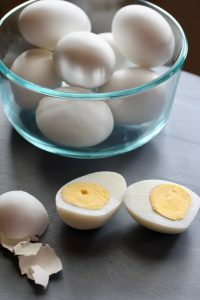 Add water to cover eggs by an inch. Heat over medium-high until eater begins to boil. Cover pan with lid. Remove from heat and allow to sit for 19 minutes. Pour out hot water and cool eggs by running cold water over. When eggs are cool enough to handle, peel. What’s for lunch? Check out what my fellow RecipeRedux food bloggers are serving!